The Online Boy Scout Patch and Memorabilia Price Database Blog: New Year, New Features! Better late than never, so here is an update for Patchtrends.com. A lot of work was put into updating the user interface (UI) for the member site. I still need to update the screenshots at Patchtrends.com, but essentially everything was rewritten from the ground up to enable more features. In fact, the two new member features outlined below were made possible because of the new way that the UI was written. 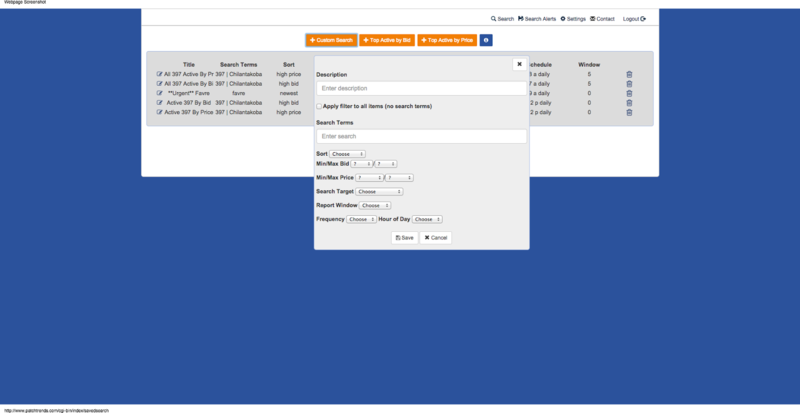 As outlined in the previous blog post, Patchtrends.com members now have the ability to have search alerts emailed to them. There are many options for the search alerts, but the most important thing to note is that alerts work over both completed auctions and active auctions. It's extremely handy and much more effective than the saved search feature that eBay provides, for example. Many use it be emailed weekly or daily the top 25 top selling, currently fetching, or most popular items that have either been completed or are currently for sale. Please send feedback on improving and extending this feature. 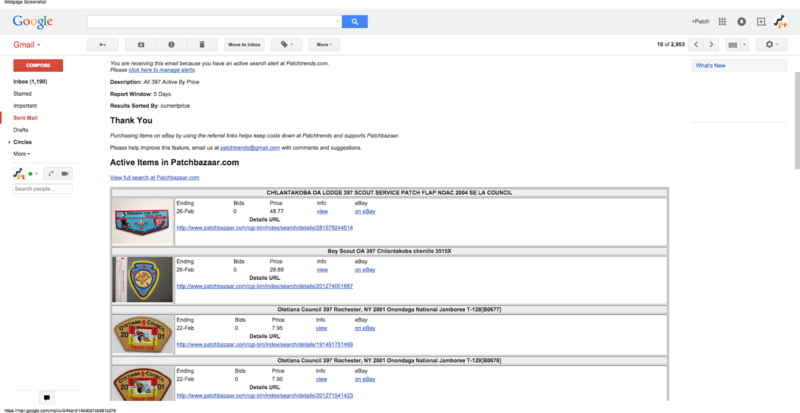 If you are unsure about how to use it, please email patchtrends@gmail.com for help! New Feature #2 - Scatter Plots! Patchtrends.com was chosen as the name for this service on purpose. The main goal is to provide more than a listing of competed eBay auctions. The main goal is to provide tools that help savvy and sophisticated users to find and identify trends in the Scouting Collectibles market. Please use this feature and send feedback so that we may improve and extend the tools we provide to our valuable members. There are a lot of goals heading into 2015. As always, Patchtrends.com seeks to improve upon delivering a rock solid platform on which one may do in depth research into the Scouting Collectibles market. 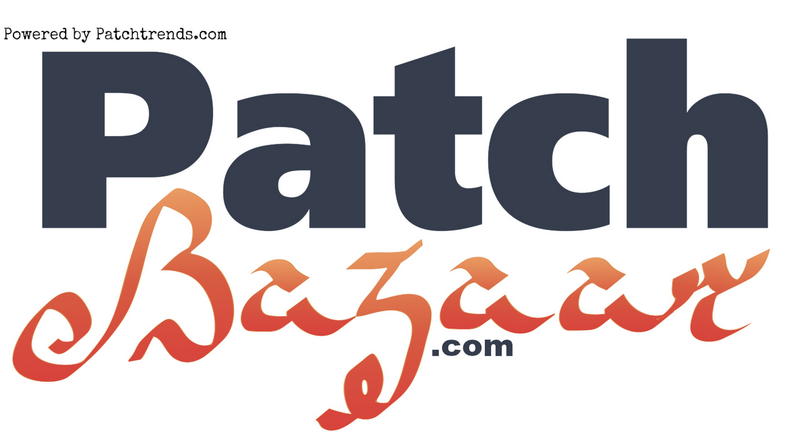 Another goal for 2015 is to re-launch the sister site, Patchbazaar.com. The goal of Patchbazaar.com is to provide a free and killer tool to find undervalued and unnoticed Scouting Collectibles on eBay. 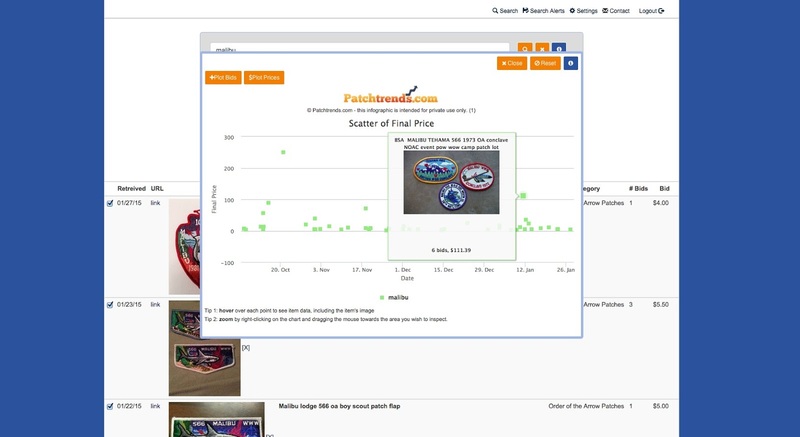 Using the site and by clicking the eBay affiliate links also helps fund Patchtrends.com and Patchbazaar.com, so every effort is going to made to refine Patchbazaar.com as THE place to go to when looking to find a good deal on Scouting items on eBay. It is a win-win for you the users and Patchtrends.com. Be on the look out for the redesigned Patchbazaar.com logo - and for a fully retooled and reimagined Patchbazaar.com user interface. Be on the lookout for the new logo and visit Patchbazaar.com to help support PT's efforts! Thank you for your support and here's to another great year!